British and bloody furious at your government. That should do it – welcome! Well, I am the other way round. 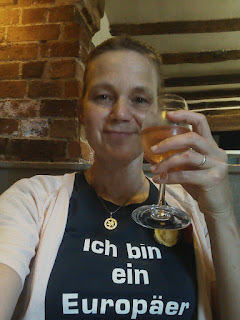 I am British and have taken German nationality for myself and my children as I have the right as the child of a refugee. I now value it more than my British. I spent many years when living abroad saying how Britain was a beacon of tolerance and multiculturalism. It seems hollow now.